Dr. Rubin has served as Titan's Executive Chairman of the Board of Directors since 2009, after previously holding the position of CEO. Prior to joining Titan, Dr. Rubin was Head of Global Research and Development for Bayer Schering Pharma, as well as a member of the Executive Committee of Bayer Healthcare and the Board of Management of Bayer Schering Pharma. Before Bayer Pharmaceuticals and Schering AG merged in June 2006, Dr. Rubin was a member of the Board of Executive Directors of Schering AG, as well as Chairman of Schering Berlin Inc. and President of Berlex Pharmaceuticals, a division of Schering AG. Previously, Dr. Rubin held the position of Senior Vice President of Global Clinical Pharmacology & Discovery Medicine at GlaxoSmithKline. At GlaxoSmithKline, Dr. Rubin was responsible for programs in United States, Europe, Asia and Latin America. Prior to joining GlaxoSmithKline, he served on the Senior Staff of the Infectious Diseases Section of the National Cancer Institute, NIH. Dr. Rubin was trained in Internal Medicine at The Johns Hopkins Hospital, and held fellowships in both Oncology and Infectious Diseases at the NIH. Dr. Rubin holds an M.D. from Cornell University Medical College, and has board certification in Internal Medicine, Oncology, and Infectious Diseases. He currently serves on the board of directors of Curis Inc. and Galectin Therapeutics, as well as several private companies and an academic institution. 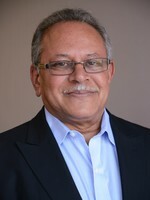 Sunil Bhonsle has served as Titan's President since 2009, after previously holding the positions of Executive Vice President and Chief Operating Officer. Prior to joining Titan, Mr. Bhonsle served for 20 years at Bayer Corp., where he was Vice President and General Manager-Plasma Supply in the Biological Products business unit. Over the years Mr. Bhonsle has held positions of increasing responsibility in the areas of Finance and Operations in the Biological Products business unit, including serving as a member of the Executive Management Committee, at a time when Bayer became a leading supplier of plasma products worldwide. Mr. Bhonsle holds an M.B.A. from the University of California at Berkeley and a B.Tech. in chemical engineering from the Indian Institute of Technology. 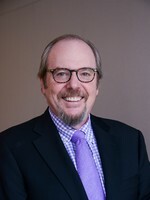 Dr. DeVarney joined Titan in January 2007 to lead the clinical development and medical affairs group and currently serves as Titan's Executive Vice President and Chief Development Officer. Before joining Titan, she was a Senior Director with Corcept Therapeutics in Menlo Park, CA. Prior to joining Corcept, Dr. DeVarney was the Senior Medical Director for Neurosciences within World Wide Human Health at Merck. Dr. DeVarney also worked at SmithKline Beecham and GlaxoSmithKline, where she held positions of increasing responsibility, primarily within the Neurosciences research and development and medical affairs organizations. 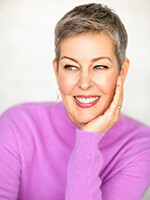 Throughout her academic and industry careers, Dr. DeVarney's research has focused primarily on addiction, neurodegenerative disorders, including Alzheimer's Disease and Parkinson's Disease, mood and anxiety disorders, metabolic disorders and obesity. Her research has been published in peer-reviewed medical journals such as The American Journal of Psychiatry, Drug and Alcohol Dependence, the Journal of the American Medical Association, and Addiction. She has also presented extensively at the American Psychiatric Association, the American College of Neuropsychopharmacology, the American Society of Addiction Medicine, and the International Society of Addiction Medicine. Dr. DeVarney holds a Ph.D. in Clinical Neuropsychology from George Mason University in Fairfax, Virginia.